In the background, I stamped some flowers from the Water Blooms set and added a few pearls and rhinestones. People always ask me about the inks I use, and I really should be better about listing that in my posts. The pink I used here is Bubblegum by Mama Elephant and the sentiment is done in Versafine Smokey Grey (perfect color when you want a soft black). Oh, this is so sweet JJ. 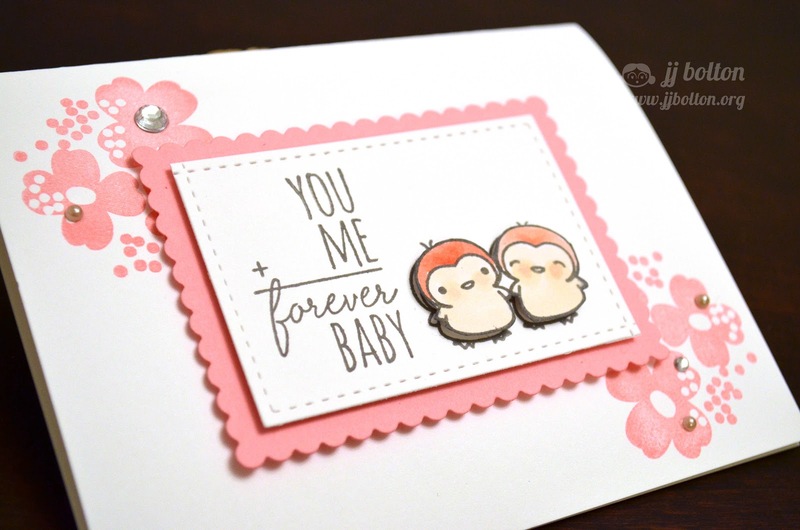 Love how you have combined the pink flowers with those sweet love birdies. Eek! This is just darling! I love it, love it, love it! Super sweet...loving the soft colors and that gray really is the perfect shade! Oh, my CUTE!!! This is just TOO adorable! "forever baby". Love that Schwarzenegger-sounding quip coming from those sweet little tweets! This is darling! I love how you added the blooms to the corners of the frame and popped up the birdies. What a sweet, lovely card! Makes my heart swoon! 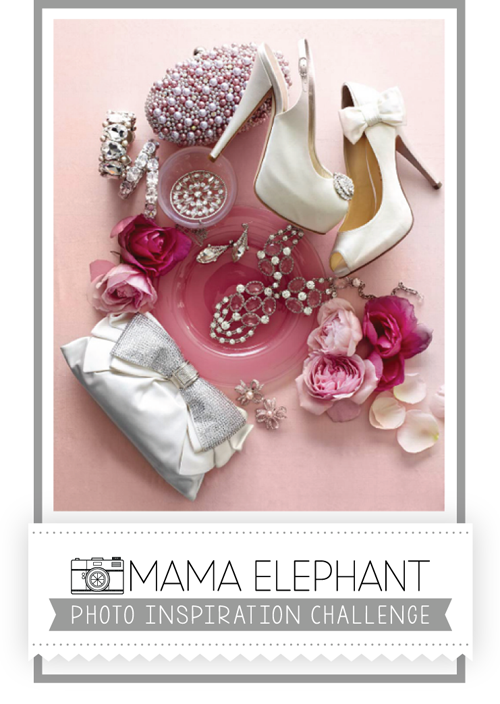 I really love the soft, feminine colors you chose for this card and your custom frame is fabulous, JJ! I'm off to check out the 'how to'...thanks! Love how you colored those sweet birds! SO cute!